Alright I think I nominated your blog for the prestigious Inner Peace Award and the bouquet of Awards since Your blog has inspired me to do so. Your blog gives practical advice to people about our health and health means physical health and spiritual health through exercises and meditation. We get inner peace only when we enjoy good health and your blog has offers everything towards it. It has inspired me and motivated me to maintain good health without the use of medications. It deserves every award since it touches so many lives including mine. Great blog. There is so much to explore. I’m having a lot of fun checking everything out. Thank you so much Samina…!!! Some error occurred with the link, Please help me..
How i put this Award? Copy and Paste? Yes you can definitely. If you want me to send you the procedure I can. where i put the award on my blog ? I think to put this on award page. So i want, You write some words for me/my blog that i can put with the award on my page. Yes it would be a good idea to put the award on a separate page and give it the heading of Awards. You can write with every award that your blog and you have been nominated for the award. And you feel honored. What kind of a write up you want me to write for you. These are no rulers awards so you can simply put them on a page so that people can see that your site has been nominated for these awards. You do not have to do anything else. If you want to nominate others for these awards then you will have to write an awards post. It is up to you. Thank you like my idea. You should write that why had came idea to give the Award. What thing you had seen in my blog and me. Write some about that. Alright I think I nominated your blog for the prestigious Inner Peace Award and the bouquet of Awards since Your blog has inspired me to do so. Your blog gives practical advice to people about our health and health means physical health and spiritual health through exercises and meditation. We get inner peace only when we enjoy good health and your blog has offers everything towards it. It has inspired me and motivated me to maintain good health without the use of medications. It deserves every award since it touches so many lives including mine. Best wishes. Samina. 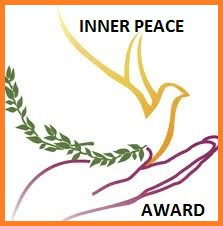 Congratulations for receiving the prestigious Inner Peace Award. You and your blog deserve every award sine you are helping the whole of humanity maintain perfect health. So happy for you. Take care. You can now post the other awards iI nominated your blog for in the same manner if you like. Thank you and take care. The award looks awesome. Thank you very much…Samina. You are always welcome to my blog, To give suggestions which make my blog attractive and powerful. My pleasure Rajesh. I will visit your blog often to give my comments and suggestions. You can count on that. I want you to visit my blog too. Take care. My pleasure too Samina. Oh… sure i will visit your blog too, Your blog is inspiring to serve people, That’s our duty. Take care…you too. I am weak in English, Please ignore if any mistake you have found in my writing. I have found no mistake in your writing at all. English does not matter it is the feeling that counts and your English is just fine. Don’t worry about it. We will be seeing each other often. Take care. Thank you…Thank you so much…!!! Samina.